Before any PlayStation deviants out there get too excited, notice the “innovators” keyword. By that, Sony means industry insiders and academics. PlayStation has been treading carefully on this ground, especially considering it’s currently in the throes of battling PS3 hackers and banning console imports. Maybe pressure from competitors has been making Sony consider a more open platform. 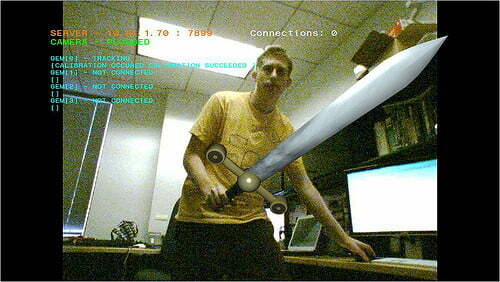 Microsoft recently announced it would release the Kinect SDK after seeing what hobbyists were capable of creating. Microsoft has taken incremental steps since initially threatening legal action against Kinect hackers, ultimately trying to put itself in the favor of their ingenuity. Up until now, Sony hasn’t been quite as lenient. Aside from one member of the Move team saying he’d like to see what this technology could do in the right hands, the only commentary Sony has made on hacking is that it really, really doesn’t like it. It doesn’t sound like your local PS3 modders will be handed the Move SDK just yet. But don’t give up hope: Sony has notoriously fought hackers, so consider this a baby step in the opposite direction.